As more and more of us use our smartphones for more than just calling and texting, data limits on contracts are becoming more of a problem. The majority of mobile plans nowadays come with at least unlimited texting, and many with unlimited calling too, which means that data limit is the one thing that’s holding you back from using your phone whenever you’d like. Fortunately, there are some options for unlimited data packages. What are your choices? What should you be looking for? That’s what we’re here to help with. We’ll be honest, you might not need an unlimited data plan. Frankly, they tend to be pretty pricey, so they’re not for everyone. 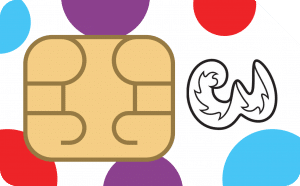 But for certain kinds of users, unlimited data deals actually end up saving money. Basically, an unlimited data plan does what it says on the tin: you can use as much data as you like when you like, and never get charged extra. For people that enjoy streaming, either music or video, in particular, an unlimited data deal can mean saving cash. Since you don’t have a data limit, you won’t be charged hefty extra fees for going over a data limit or buying add-ons, meaning savings in the long run. However, we do recommend that you check out your regular data use before deciding if an unlimited plan is truly for you, since not everyone will benefit from an unlimited data plan. Okay, okay, so it’s not technically unlimited. However, there are some contracts available with data limits that are so high that they might as well be unlimited. Given that the average person in the UK uses only 2.5 GB of data a month and is far better off using a PAYG bundle, a plan with a 100 GB data limit is pretty solid. It’s not the ideal solution for everyone, but it’s worth considering. Best For: Those looking for a compromise option between usage and price, those on a budget. A zero-rated plan again isn’t exactly unlimited, but it does come close. 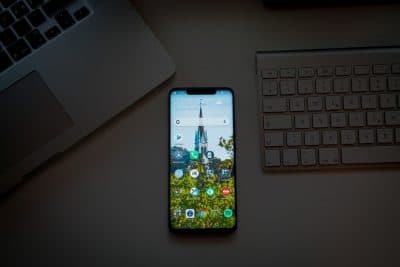 Some networks like Voxi offer zero-rated plans that give you a traditional data limit, but that also give you unlimited data to use on certain services. You might, for example, have a 5 GB data limit, but also unlimited data to use on Netflix or WhatsApp. If you tend to use your data on one kind of service (usually video streaming, music streaming, or social media), this could be a good plan for you. Best For: Those who are truly looking for as much data as they want and that are willing to pay the price for it. 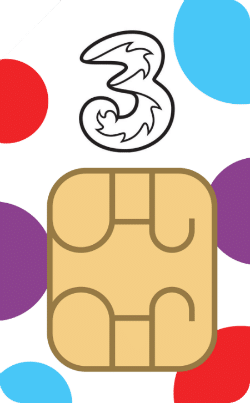 Three are probably the best-known company to offer unlimited data. You get All You Can Eat data on a 12-month contract for just £24 a month, which isn’t a bad deal, especially since you’re getting unlimited texts and minutes as well. You also get free roaming in 71 countries around the world, and a vast array of handsets to choose from if you’d like to add a phone to your contract. And you’re free to use your phone as a personal hotspot to get other devices online. This means that you can tether your laptop, for example, to your phone to get an internet connection. Before you begin it’s a solid idea to get a picture of your actual data usage. You can do this by looking through old bills (on paper or online) or the data tracking app in the settings menu of your phone. You might find that you’re using less data than you think, meaning you could go for a compromise big data deal rather than a more expensive unlimited plan. Take a look too at where all the data is going to see if you’d profit from a zero-rated data plan. It has to be said, you do need to look at your monthly budget. 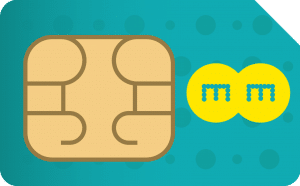 With unlimited plans being the most expensive type of phone plan around you need to ensure that you’re going to be able to pay that regular monthly bill. How long are you willing to commit to a phone contract? There are traditional 2-year options, rolling 30-day contracts, and even PAYG services. You need to decide how long you’ll really be wanting this plan. Longer contracts are usually cheaper, but they do stop you from switching to a different network if you find a better deal. There’s no point getting a huge data phone plan if you’re not going to get reception. Coverage varies by operator across the UK, and there are still some black spots, particularly for 4G coverage. It’s worth checking the coverage map for networks that you’re interested in (you’ll find them on the website of the network in questions, or check all networks by using the OFCOM coverage checker online) to ensure that you’re going to get good and fast service in your local area. Some networks have what they call a fair usage policy which you’ll find in the small print of deals that you’re looking at. This allows the network to slow down your data speeds if they feel that you’re using too much data. Not all networks do this, and some have higher limits for what they find acceptable than others. It’s your job to check the fine print and find out! Though data is usually the most important part of a mobile contract for most of us, don’t forget about that texting and call portion. Do ensure that you’re getting healthy calling and texting limits as well as data, otherwise, you’ll get stung by extra costs anyway. You might also want to consider the options when it comes to handsets. Whether you need a new phone now or not, you might in the future. Some networks sell phones, some networks allow you to buy phones on contract, others simply don’t. The choice is yours, but it’s worth taking a look at the options anyway. Just before we get to our actual recommendations, let’s take a little look at how we choose our deals. The requirements were simple. 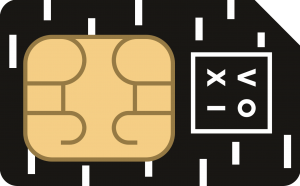 We looked at networks that offered either unlimited or zero rated data as well as a couple of the biggest data limits on the market. We looked at price, benefits, contract terms, and all the important stuff. We also looked at customer reviews and feedback, giving us an idea of how satisfied other people were with their plans. And, since we work we’re a mobile phone comparison site with mobile experts, tech experts, and mobile users around us all day, every day, we got plenty of personal and professional feedback as well. Now, time to get to those deals. What are the best unlimited data deals around? Now that you have a clearer idea of what you’re looking for, let’s take a closer look at some of the best options out there. Three are probably the best-known company to offer unlimited data. You get All You Can Eat data on a 12-month contract for just £27 a month, which isn’t a bad deal, especially since you’re getting unlimited texts and minutes as well. The only real downside here is that there is a fair usage policy, though it’s a generous one. Three reserves the right to slow down your connection speeds after you reach 1000 GB of data used. Since that’s more than most people should ever need, that’s really not a big deal. 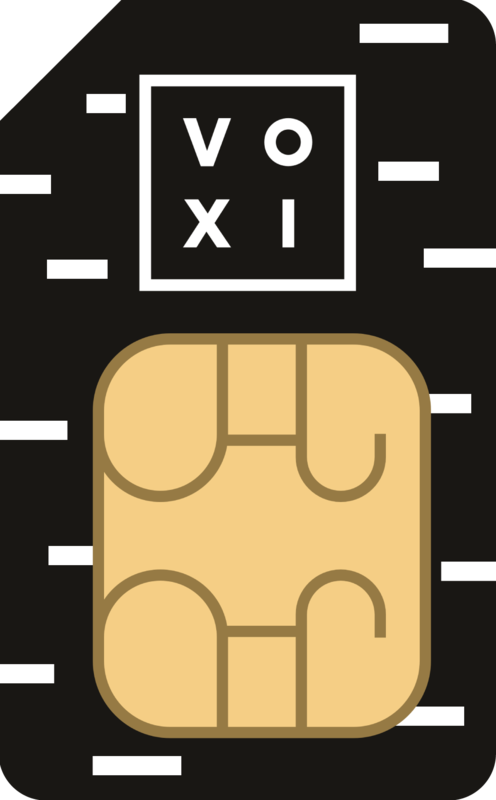 Voxi is an MVNO network run by Vodafone. All Voxi plans give you unlimited data for social media (for Facebook, Snapchat, Instagram, Messenger, WhatsApp, Twitter, Pinterest and Viber). Add a video package for £7 a month and you get endless data for Netflix, Amazon Video, DisneyLife, My5, tvp, and UK TV Play. Add a music package for £5 a month and you get endless data for Spotify, Apple Music, Tidal, Deezer, Soundcloud, Napster, and Amazon Music. Be aware that these costs are on top of the regular cost of a Voxi contract (£10 for 6 GB of data, £15 for 15 GB of data, and £20 for 45 GB of data, all with unlimited calling and texting). You’ll also get rewards for recommending friends, and a free phone case when signing up. The biggest downside here is that data isn’t truly unlimited, you’ll still need a data limit for web browsing and the like. But if streaming or social media is your thing, then Voxi Passes could be an idea solution. This isn’t the biggest data limit in the world, but 60 GB is a whole lot of data and should be more than enough for most people. Plus, this is EE’s super fast 4G+ data, getting speeds of up to 60 Mbps, which could be a selling point for some. And you get unlimited texts and calling minutes thrown into the deal too. You’ll also get inclusive roaming in 48 countries, and the best 4G coverage in the country. You can gift data to other people, use WiFi calling, and get 6 months of Apple Music for free. 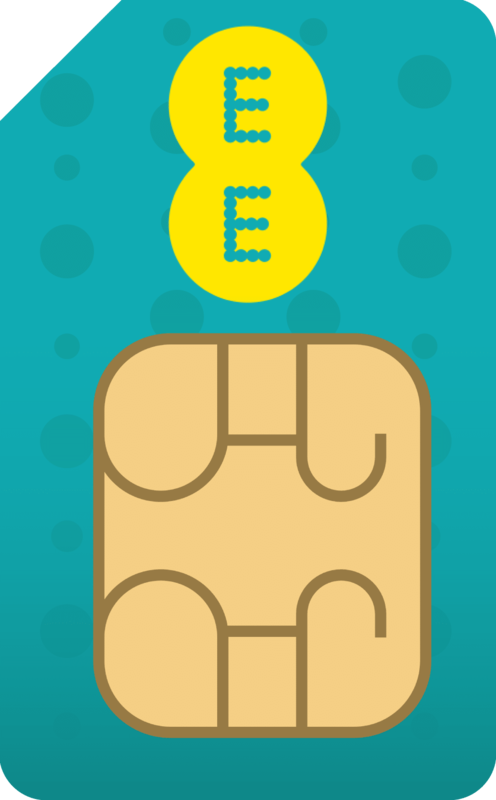 Add in an EE broadband plan for your home and you’ll get an extra 20 GB of data added to your monthly limit. So not a bad deal at all. The downsides are the obvious ones. This is a pricey plan, and you don’t get unlimited data in any real sense of the word. But if you want lots of fast data, then this really is going to be your best plan. 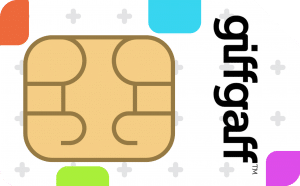 Giffgaff also offers an unlimited data contract, though there are some issues that we’ll get to in a moment. In short, you get unlimited data and unlimited texts and calls for 30 days, at which point you can decide whether you want to renew the plan or not. This gives you plenty of flexibility, and prices are pretty low too, which is always a good thing. You’ll also get cheap international calling. 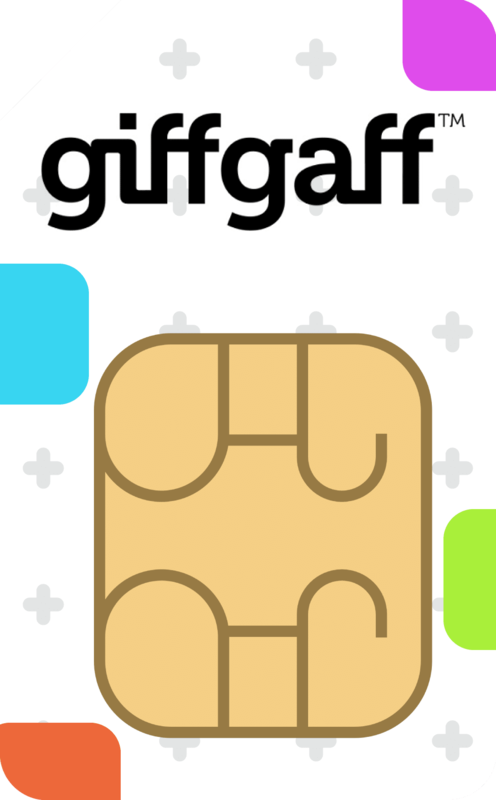 And Giffgaff offers plenty of rewards, including free credit, for things like filling out surveys, recommending friends, and taking part in the Giffgaff internet forums. However, your data isn’t actually completely unlimited. You’ll get 4G speeds for the first 20 GB. After that, you’ll be restricted to 3G speeds between 8 a.m. and midnight, which might make heavy streaming a problem. 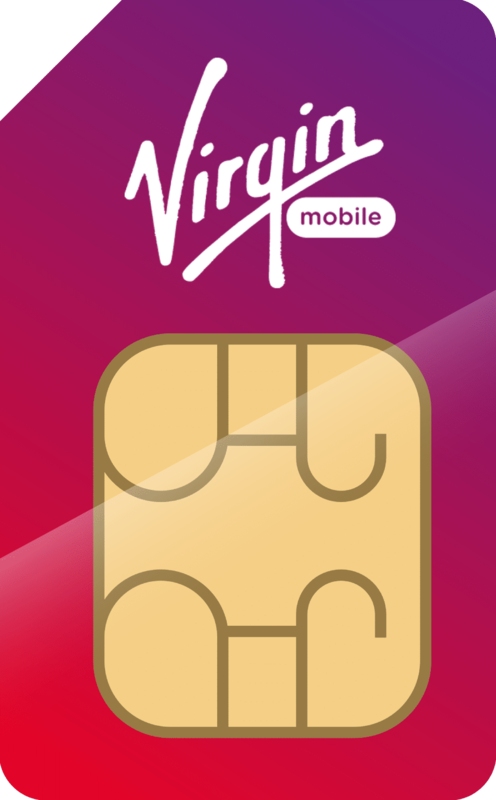 Virgin Mobile has recently switched to a zero-rated messaging plan on all of their regular 4G twelve-month contracts. This gives you unlimited data for messaging using WhatsApp, Messenger, and Twitter. You get a range of contract choices, all with unlimited texting, from 1500 to unlimited calling minutes, and from 1 GB to 40 GB of data for other uses. 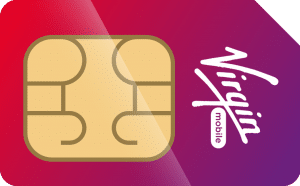 You can also get savings by combining your mobile plan with a Virgin TV or broadband package. Again, the downside here is obvious. Data isn’t truly unlimited, and if you’re a big streamer then this isn’t really going to be the plan for you. However, for those big into messaging then you might profit from a Virgin data free messaging plan, and contract prices are fairly cheap for a big name network. If you’re not quite up to paying for Three’s unlimited data plan, this whopping 100 GB plan could be a good compromise option. You get a full 100 GB of mobile data, plus zero-rated data for certain apps like Netflix, Snapchat and others (you’ll find a full list on Three’s website) so you won’t eat up that data with video streaming or social media. You’ll also get free roaming in 71 countries, tons of handset choices, and you can tether your phone too. 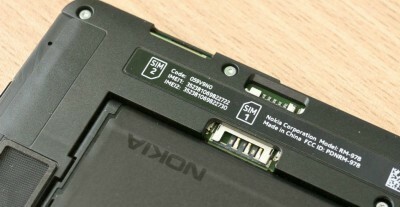 This means that you can use your mobile data to connect other devices, such as laptops or tablets, to the internet. No, it’s not completely unlimited data. But it’s pretty close, and unless you’re likely to use 100 GB of data web surfing alone then it’s a great deal for a great price. This is a solid unlimited plan for a solid enough price, though a little costly when compared to Giffgaff, for example. However, Virgin Mobile’s plan (which gets you unlimited calling, texting, and data) does have a caveat: you have to be an existing Virgin TV or broadband customer in order to qualify (or have to be willing to become one). You will get savings by bundling your mobile, TV and/or broadband plans, which could make this a good idea if you’re looking for a new TV or broadband provider. And since Virgin uses EE’s network to provide service, you’ll get access to EE’s super fast 4G speeds. Virgin also has a wide range of handsets on contract and lets you trade in your old phone to get money off a new one. However, the huge disadvantage to this plan is that if you’re not willing to switch to Virgin TV or broadband then you simply can’t get it. Plus, you might be better off with a slightly cheaper plan from Giffgaff anyway. Finally, if you find that you’re using most of your data on certain apps, then Three’s Go Binge plans might be for you. Any contract that has 12 GB of data or above gets Go Binge for free. This gives you unlimited data to use with Apple Music, Netflix, Snapchat, TV Player, Soundcloud, and Deezer. As a Three customer you’ll get great roaming rates in various countries across the world. You’ll also get a wide choice of handsets if you opt to add one to your contract. And you can tether too, so you can use your mobile to get a tablet or laptop online, which could be handy for all that Netflix watching. However, if you aren’t using the majority of your data on one of the six apps that Go Binge applies to, then this probably isn’t going to be the plan for you. And truly unlimited plans can be had for just a few pounds more.